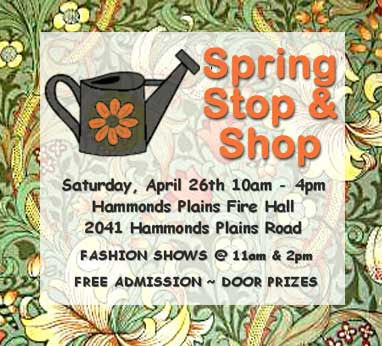 I'm not sure if I have many local readers, but if there is one, you can pop over to visit at this Spring Stop & Shop. There will be about 30 different vendors with quite a wide range of products, based on what I've heard. I'll be there with my books all day Saturday April 26th. Post-sale update: So, I didn't sell out. I sold some stuff, but not the stuff that I really expected to sell. These craft markets and fairs are so unpredictable! Best of luck! Let me know how the earrings do, I've been thinking about starting mass production for a show I have coming up in early summer.